Though Miami and Art Deco seem synonymous, the magic city also boasts a wealth of old and new architectural gems that stand on their own. And as an interior design company based in New York City with offices in Miami, we’re often finding ourselves inspired by the city’s rapid growth and ultra-modern, deluxe new construction. That said, how do you go about finding the right local interior decorators for your specific project? As a Miami-based firm with a satellite office in New York, Pepe Calderin is a world-renown figure in the world of interior design. Their projects represent the height of modern luxury, and the firm has worked on both residential and commercial spaces. By drawing inspiration from the interplay of geometric lines and bright pops of color, a highly modern aesthetic has been a constant throughout the firm’s storied career as venerable interior designers Miami. In a city with rapid growth like the magic city, Calderin makes for an excellent example of Miami interior design firms that deliver quality décor to last a lifetime. David Charette and Jay Britto have both spent the past decade designing luxury interiors for a variety of high-end clients. As principals of Britto Charette, the duo has primarily designed residential spaces, although they also have several high-end retail and commercial spaces in their portfolio as well. With an ability to blend coastal and modern elements, the firm has gained a well-deserved reputation as luxurious and contemporary interior designers Miami. Britto Charette’s designs have been featured in Interior Design, Architectural Digest, Embark, Wallpaper, and Luxe as celebrated interior decorator Miami. With a highly refined sensibility, DKOR Interiors is one of Miami’s go-to design firms for modern, sophisticated interiors. DKOR develops a personalized concept for each of their clients as a way of conceptually guiding their home redesigns through each stage. From Miami Beach to South Beach, DKOR’s highly conceptual designs have gotten them numerous accolades and endless attention as the best interior designers Miami while taking the city’s buzzy interior design world by storm. The firm’s designs have been featured in Luxe, Marie Claire, Ocean Home, and Design Milk as best interior designers Miami. With a transparent pricing structure and a team of world-class interior designers, how could we not include ourselves? 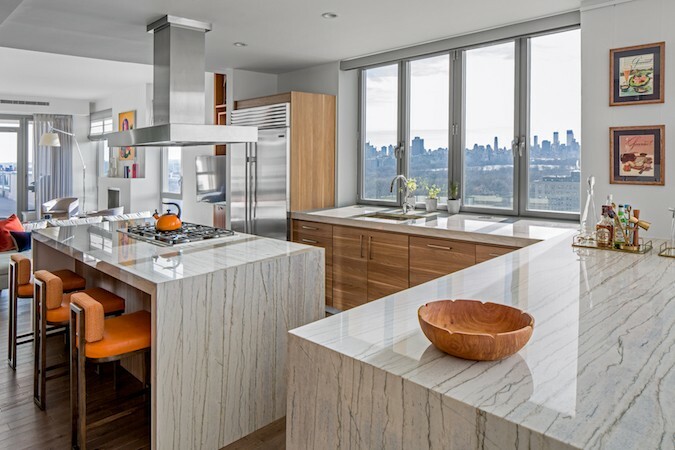 From TriBeCa lofts to Connecticut country estates, there’s no project we can’t handle with authority. Our senior designers are always available for a complimentary in-person consultation, where they’ll guide you through each step of your project while defining your needs, and will tailor a detailed proposal, with no minimum purchase. What makes us unique is that we’ll pass all of our trade discounts on to you, with these savings often exceeding our design fees. From there we’ll make sure you get the most out of our best interior designers in Miami or point you to top Miami interior design firms who will work directly with our project manager throughout the life of your project. Since 1999, Avanzato Designs have been creating bespoke luxury interiors for Miami’s worldly, discerning clientele. From contemporary to traditional, to transitional interior designs, the firm is regarded as one of the top sources for the best interior designers Miami and for its ability to combine traditional and contemporary elements into a wholly modern interior design scheme. Spanish villas, world-class hotels, and beach-side penthouses are just a small sampling of the firm’s breadth of expertise. Avanzato Designs have been featured in Architectural Digest, Elle Decor, Miami Modern Luxury Magazine, and Luxe Magazine for the best services from an interior decorator Miami. Miami’s design district is one of the nation’s premier centers for furniture, lighting, and decor. And in the heart of it all is RS3 Designs, the Miami-based firm that has been completing thoughtful and modern interior designs for both residential and development properties. When considering interior designers Miami for your home, it helps to take note of their relationships with brands and vendors as they just might be able to help you get the best price available. RS3’s projects have been featured in a variety of online and print publications, including Boca Design, Gold Coast, Miami Home & Decor, Palm Beach Designs, Opulence, and Modern Luxury Miami as the best interior designers Miami. With over 25 years of experience designing homes in south Florida, the J Design Group is renown for the variety of spaces they work in, including residential, commercial, hospitality, corporate, retail, and dining spaces. What unifies this wide range of projects is a commitment to luxurious interior design and a passion for customer satisfaction – solidifying their position as the Best Interior designers Miami. From Key West to Miami Beach, this firm’s modern and sophisticated designs are wholly original and always luxurious. J Design Group’s projects have been featured in Miami Home Decor and Aventura, among others for their superior interior decorator Miami know-how and determination. 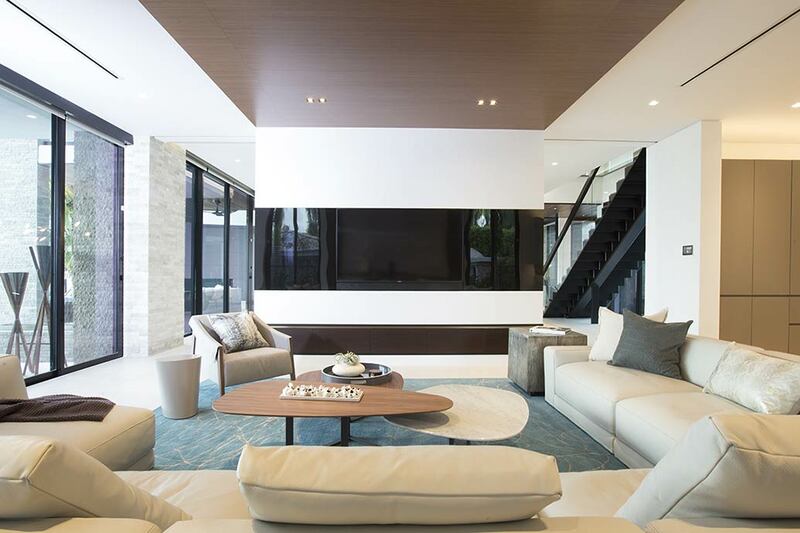 As a LEED-certified, full-service design studio, Pfuner Designs has been catering to those in Miami’s design community who wish to integrate their homes with environmentally friendly interior design solutions. From bespoke furniture designs to custom-built storage solutions, this residential interior designer Miami firm has been a mainstay in the design world for years. And with a holistic design approach that encompasses Feng Shui and color theory, the interiors that Pfuner designs are entirely visceral experiences. The firm’s designs have appeared in publications such as South Florida Luxury, Florida Design, Florida Interiors, Miami Home & Decor, Professional Design, and Casa Decor and they are frequently celebrated as the best interior designers Miami. As one of Miami’s most experienced interior design firms, Ivette Arango has a wealth of history in designing interior spaces. From Coral Gables Residences to Key Biscayne Penthouses, the firm has been working to create modern luxury spaces for almost 50 years. 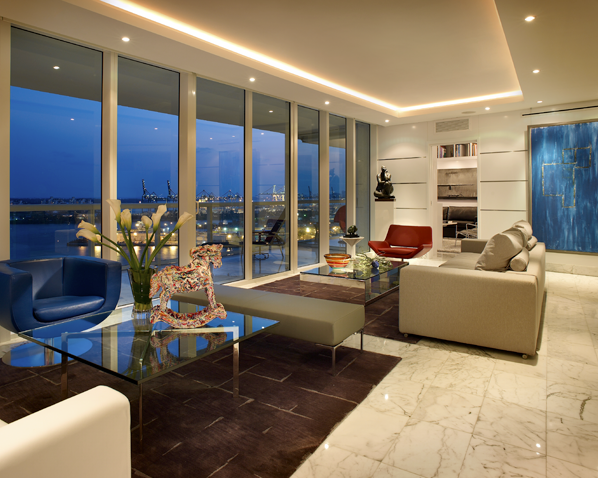 With such major history, it comes as no surprise as they are often noted as the best interior designers Miami. While the firm prefers to eschew categories such as “modern” or “contemporary” their designs are truly unique and undoubtedly luxurious. Ivette Arango’s interior designs have been featured in a number of publications including Florida Design and the Ritz Carlton Magazine as an interior decorator Miami to take note of. 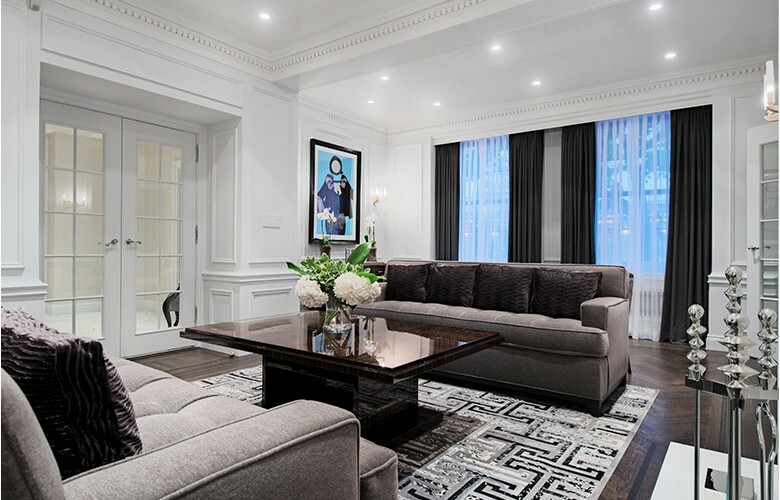 As a furniture showroom and a full-service interior design firm, every part of Epicoutu Designs embodies their motto of “Living in luxury.” The firm was formed in 2008 by Sismai Roman and Miguel Bolaños to realize their dream of providing a luxury interior design experience, through all stages of the redesign process. From yachts, to private jets, to luxury condominiums, the firm prides itself on offering a wide variety of luxury interior designers Miami, and is able to provide its clients with custom fabricated pieces of furniture, in addition to offering furnishings from their extensive showroom that is also a top destination for fellow interior decorator Miami. For almost 20 years Annie Santulli has been creating innovative custom interiors for scores of clients up & down the east coast. A passion for capturing the essence of client’s dreams and visions as lead to critically acclaimed interior design projects which have been published nationally. Long considered one of the best interior designers Miami, Annie Santulli Designs offers a full range of personalized design services from a simple home refresh to a complete yacht upgrade (something you’d think more interior designers Miami would have a handle on). Celebrated for a passion for design and for bringing a sense of personality to even the most minimal of interiors, Maite Granda is often regarded as one of the top interior designers Miami for good reason. The Cuban born designer’s calling card of luxurious interiors injected with riotous color and texture along with maintaining a zen balance of design has continuously gotten her name on best interior designers Miami lists since she began her career. An award-winning modern design firm serving in South Florida, throughout the U.S, and around the world with projects in Canada, Europe and Brasil, 2id are often name-dropped as the best interior designers Miami. Backed by a team of some of the nation’s leading contractors, vendors, and suppliers, and top interior designers Miami, a quick glance at their portfolio illustrates exactly why they’re often position as a source for finding a go-to interior decorator Miami. DiMare Design offers deluxe custom interior design services, space planning, and remodeling centered around a philosophy based on cruelty-free design, wellness/sensory environments, and sustainable sourcing. As a top residential interior designer Miami, DiMare Design focuses on humane interiors and is passionate about animal rights while educating clients about cruelty-free (vegan) design – making her a standout among interior designers Miami and throughout the U.S. Serving clients from all over the world to create awe-inspiring homes finished with considerate details and the perfect balance of distinguished design and comfort, B Pascuali’s mission is to deliver inspiring, deluxe décor and experiences. Whether you’re looking for smaller, more affordable interior design Miami projects, or interior designers Miami to give a larger space a new lease on life, leave it to B Pascuali Interiors to transform your home into an inviting, well-designed space.